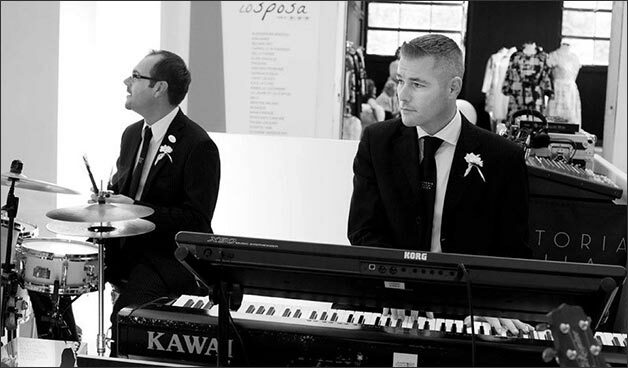 ith this post we would like to tell about some nice ideas for your wedding music entertainment. We are talking about the prime time: THE APERITIF. The aperitif is often considered one of the important moment of a party. Guests relax a little after the ceremony and they have the chance to mingle. 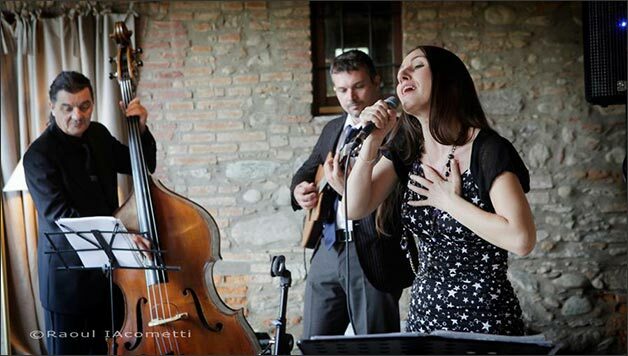 A quartet made up of piano, drums, double-bass and a singer can create the perfect atmosphere for this moment playing swing, jazz, and bossa-nova. Adding up a saxophone or a trumpet you can have a more complete and magical musical background. In this case we can alternate tunes with or without vocals. Music should not be intrusive but it should accompany a lovely relaxing moment. The soundtrack of the day will be tailor made on bride and groom’s tastes being the perfect background for emotions of an unique day! We would be pleased if all emotions of the day will come back to your mind simply listening to the same song on the radio after years! After a short pause it will come the song that introduces bride groom entrance! This time louder volume is allowed to stress moment’s pathos. A spontaneous applause will start and this will be the right moment for fantastic wedding photos! Song chosen by the couple with music planner is often a happy and sparkling tune matching the great happiness of the moment. What about a swing version of an Italian ever green or “L-O-V-E” by Natalie Cole? Aperitif continues with some more live songs played by the orchestra. They will play for you well-known music and high-standard classics such as bossa-nova, swing or jazz with or without vocals. Your soundtrack could be relaxing but also entertaining but most of all it will be tailored on your tastes and needs. 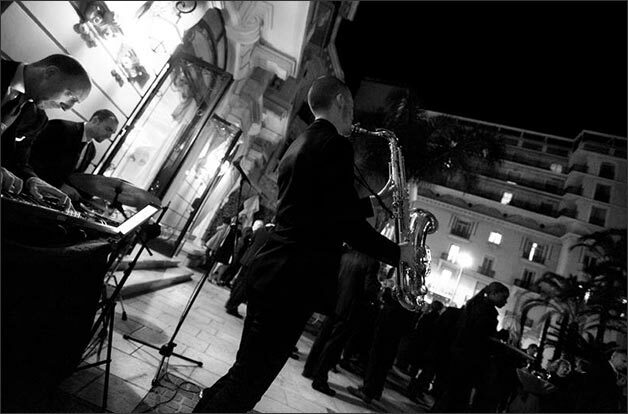 Band is there not to play a concert, but to create a special atmosphere for bride and groom and their guests, to make them happy! The band shall accompany with a great sense of responsibility an unrepeatable and memorable day. 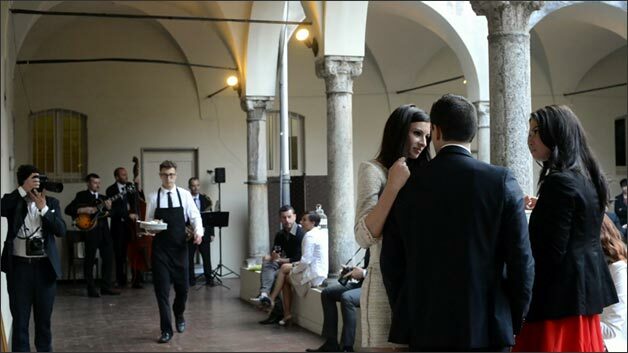 ← Another great month of weddings on Italian Lakes… and not only lakes!